Across town, Yoyo and the other mini moms are scrambling to find someone to replace Abby. While they’d love to have Gia teach the girls, they know she won’t go against Abby. Yoyo is able to secure a choreographer, but Ashlee is still concerned about the upcoming competition. The OG moms are much more confident under Cheryl’s lead. 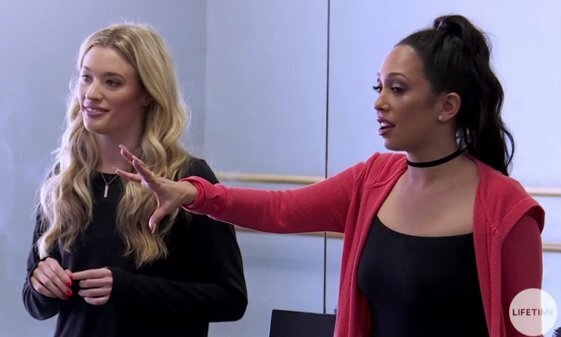 As the girls rehearse, Christi and crew moan about the social media backlash from Ashlee and Brynn’s fans regarding last week’s burlesque routine. Holly defends the number as a work of art, and anyone who can’t see it is uncultured. You keep telling yourself that, Holly! Christi is plotting to use her internet followers to launch a counter attack against Ashlee. There is nothing classier than a middle aged cyberbully. Am I right? ALDC instructor Miranda is taking on the mini challenge at Yoyo’s request. The moms hope to kiss up to Abby by doing a tribute dance to the MIA dance coach. It’s called “We Surrender” and Gosselin Hair 2.0 pledges her allegiance to Abby Lee Miller. She knows that if they tease the dance enough on social media that Abby will come running back. She hasn’t abandoned them–she just needs a quick break. As the mini moms try to build up some hype, Ashlee bursts into tears based on a tweet from Christi. The mini moms are a bit concerned. Without Brynn, the minis don’t really stand a chance as a competition team. Ashlee is in tears and doesn’t want to continue with the drama, but she vows to stick it out so that the minis can compete. Perhaps Gosselin was on to something. Less than twenty-four hours after announcing her departure from the ALDC, Abby is on social media hinting at a comeback. The OG moms are cackling and shrieking at this news, and it has Cheryl on edge. If she can’t concentrate on teaching the dance there is no way the girls can focus on learning it. She tells the moms to shut it and threatens not to return next week if the girls don’t win. The moms are extremely haughty when reprimanded. Jill defends their behavior by telling Cheryl they just learned that the minis will be competing against their girls this week. Well duh. Cheryl reminds them that it’s a competition. Teams compete. The mothers aren’t the ones wearing costumes or dancing on stage. They need to zip it. Kendall and Camryn are rehearsing their duet, and Cheryl is very frustrated by how insecure this team is. When Kendall dials it in, Cheryl threatens to swap her out for another dancer. She brings the team together for a pep talk and acknowledges the girls’ insecurity. Jill breaks down, feeling like she failed her daughter. Chloe cries that she feels like a failure. 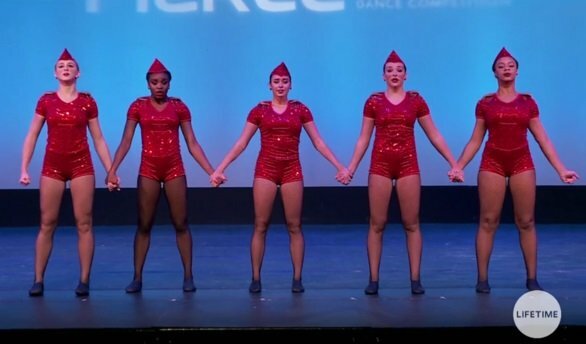 Kira gets choked up because she didn’t realize how much the girls were suffering at the ALDC. Really? That’s the price you pay when you’d rather have your daughter be a reality television star…or rather, you’d rather be a reality television star. Sheesh ladies! At the competition, Chloe is incredibly nervous but she and Nia do a wonderful job with their duet. Dancing next, Kendall and Camryn absolutely kill their performance. It is cool to see how the two numbers show the progression of the characters. Ashlee calls the routines basic. Of course she does. Backstage, Camille gets upset because of the hateful racist comments left on Camryn‘s Instagram pictures. People can be so disgusting. Cheryl urges Camryn to use those emotions in the group number. The minis first take the stage to perform their tribute, and it’s hilarious to hear the dance announced. It’s fine but a tad melodramatic. However, the Irreplaceables group dance mops the floor with the minis routine. Even Yoyo looks worried. When it is time for the awards ceremony, Nia is nervous. If they don’t win, Cheryl may not come back to work with them. Nia and Chloe’s duet places third while Kendall and Camryn takes the top spot. In the group category, the Irreplaceables end up in fifth place with the minis placing second. What? As the mini moms celebrate, Miranda receives a text from Abby firing her. Fighting back tears, Miranda wonders if she’ll be working with the minis the following week. Nope. Ashlee and Brynn are hightailing it home. Ashlee cusses up a storm complaining about the internet abuse, but a producer challenges her. Wasn’t she the one who started it? Ashlee storms off. She doesn’t want to be on television if it means her character is being called into question. In the dressing room, Cheryl begrudgingly agrees to continue working with the girls since she technically got her win with Kendall and Camryn. TELL US – WHAT DID YOU THINK OF LAST NIGHT’S EPISODE? IS CHERYL A GOOD FIT FOR THE SHOW?